Fair game. Fair and square. Fair enough. No fair! Fairness: It’s easy to talk about, not so easy to define. What is fair? And what constitutes fairness in a distribution channel relationship, such as the conventional arrangement between wholesaler and retailer? 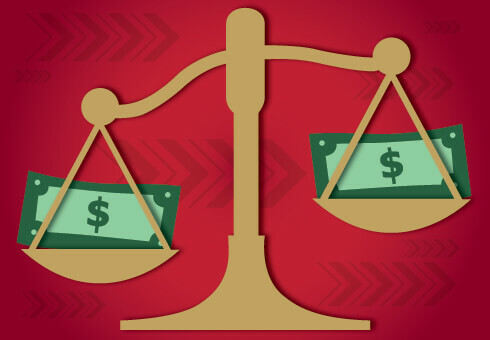 Traditionally, many firms assigning profit operate with a garden-variety definition of fairness that prioritizes equality, says Paola Mallucci, assistant professor of marketing at the Wisconsin School of Business. If we are all equal, the rationale goes, then we are all meted out the same amount of profit regardless of our title or role, and we have a right to be miffed if we don’t receive our fair (there’s that word, again) share. But in their research on fairness concerns in distribution channels, Mallucci and co-author Tony Haitao Cui of the Carlson School of Management found that firms cared more about how the environment—the business partnership—was structured than they did about each side getting an equal amount of profit. In the study, Mallucci set up a lab replica of a channel environment, where subjects were assigned wholesaler and retailer roles. Both groups were given a set amount of money to invest in the channel with varied return rates on their money, reproducing the dynamic found in a real-life channel. Subjects then had to make pricing decisions, with the wholesalers setting a price first and the retailer following. The data showed that the retailers were okay with the wholesalers receiving more money—it was considered fair—as long as the wholesalers didn’t abuse their standing by squeezing out extra profit. It was understood that each group had a distinctive role and purpose in the channel relationship and a different assignation of profit. “They’re not looking at being equal; they’re looking at relative roles and taking that into account in choosing pricing,” Mallucci says. The data also suggested that the way the business relationship was set up, with one side receiving more profit, had a greater influence on both parties deciding what was fair than did any other choices—including how much money to invest initially. It wasn’t about the money as much as it was about the initial agreement. In the lab study, retailers felt it was fair that the wholesalers take more profit given the channel relationship. As a big-picture concept, however, fairness is something that’s pretty tricky to define once we take it out of the lab and into the real world, Mallucci says. In an actual relationship, we can’t really separate out intangibles like motivation, concern for one’s reputation, effort, and emotional investment. Take the example of a family where one parent works while the other stays home to raise the kids. Which parent works harder? Which parent is more valuable to the family’s overall well-being? We can’t gauge the level of effort and emotional investment put forth by each side because these things are not observable. Even if they were visible, we can’t isolate and quantify an underlying motivation, regardless of whether that motivation is good or bad. Mallucci’s study also suggests that understanding what influences perceptions of fairness in distribution channels could actually enhance profits. Since the data reveals the setup of the channel might be a bigger influencer than choices about money invested, firm managers might use that information to extract more profit. Instead of assigning both sides an equal amount of profit, they can re-examine the channel structure and each side’s role and relationship. In the end, the data shows that absolute equality may not be the goal in channel relationships. When the profit assignment is agreed upon up front, it appears we may give way to the notion that fair’s fair. Read the paper “Fairness Ideals in Distribution Channels” published by the Journal of Marketing Research. 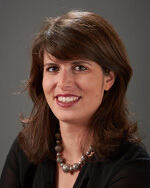 Paola Mallucci is an assistant professor in the Department of Marketing and a Wisconsin Naming Partners Fellow at the Wisconsin School of Business.